Is the Lonar crater lake mentioned in Skanda Purana or Padma Purana as the following excerpt from Wikipedia claims? If so, in what context? 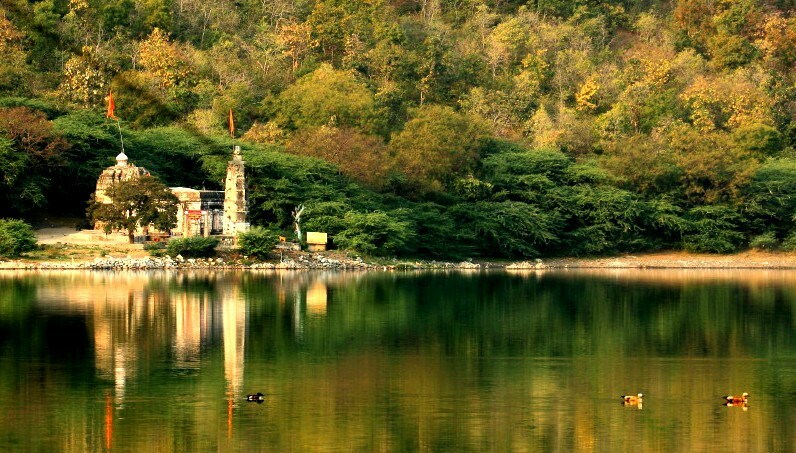 The lake was first mentioned in ancient scriptures such as the Skanda Purana, the Padma Puran and the Ain-i-Akbari. The first European to visit the lake was a British officer, J.E. Alexander, in 1823. To be clear, I'm not looking for speculation about the nuclear warfare, my question is just about what those Puranas say about the lake. Skanda Purana legend states that a demon named Lonasur became insolent and devastated surrounding countries. He even challenged gods. The people appealed to Lord Vishnu to destroy him. He therefore assumed the form of handsome youth named Daityasudan and could find from demon’s sisters about demon’s hiding place, he removed the lid of den and destroyed the demon. The present Lonar Lake is claimed to be the den of the demon; the water was mixed with his blood and the salts occurred in the water through his flesh. There's a temple atop the crator dedicated to Daitya Sudan. P.S. I tried searching for the exact verses in translations of Padma and Skanda Purana, but couldn't find them. Skanda Puran (English translation), Part-XIX, Chapter-81, Greatness of Sri Daityasudana, pages 284-288. Published by Motilal Banarsidass. The story is narrated in the above mentioned chapter and name of tirtha is given as Daityasudana. Geo graphical location is not given but it is part of western India. At the actual site of Lonar Crater you find the temple with deity named Daityasudana. Not the answer you're looking for? Browse other questions tagged puranas history india skanda-purana padma-purana .